To become acquainted with Sketch’s core features, we will build two app icons; a recreation of the iOS weather icon, and a camera icon of our own design. You will become comfortable working with vector shapes, styling them visually, and efficiently navigating around Sketch. When you finish, you’ll have those 2 app icons on the home screen of your own device, and you will be ready to take on more intermediate projects. This updated 2018 edition of the course includes projects, tools, workflows, and resources for both Android and iOS designers. 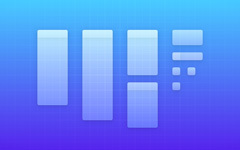 By designing wireframes and mockups for a mobile app, you will become comfortable using Sketch’s layout creation, Symbols, text editing, visual design, exporting, and other core features. We will also use Sketch’s prototyping features to bring our mockups to life with an animating interactive preview of the design, on your own device. Our biggest and most advanced course yet, these videos will bridge the gap between what you know in Sketch and the amazing things you’ll create with SVG. We’ll learn about the best practices for adapting your layers to SVG’s constraints, the basics of how SVG works under the hood, and how to optimize and build upon the SVG you export. Everything begins in Sketch. Whether you’re using an SVG to create compact vector icon sets, animations on a website, graphics for Android apps, Safari pinned-tab icons, or more—knowing how to move your designs from Sketch to SVG is the most critical step. Training courses to make you a master of the most popular screen-based design tool. Sketch Master is a collection of video training courses for professionals learning Sketch. The courses are fast-paced and focused on real projects and practical workflows—like designing app icons, mobile app interfaces, and SVG graphics. Start learning the fundamental features and workflows in Sketch, by designing 2 app icons for your own device’s home screen. Complete the fundamentals and learn Sketch’s intermediate features, by designing wireframes, UI mockups, and a prototype for a mobile app. Learn how to make reliable and compact SVGs from your Sketch designs—to use in websites, animations, icon sets, and more. Get all of the courses and save $27. 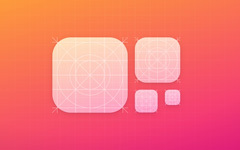 Includes the discounts on Sketch and Flinto licenses (a $40 value). Peter Nowell is an independent designer based in San Francisco. Since 2012, Peter has used Sketch for all of his design work—ranging from icons and user interfaces for Apple to award-winning branding and print design projects.